Featuring a funky blackboard design, this spiral bound notebook would make the perfect addition to any schoolboy's backpack. 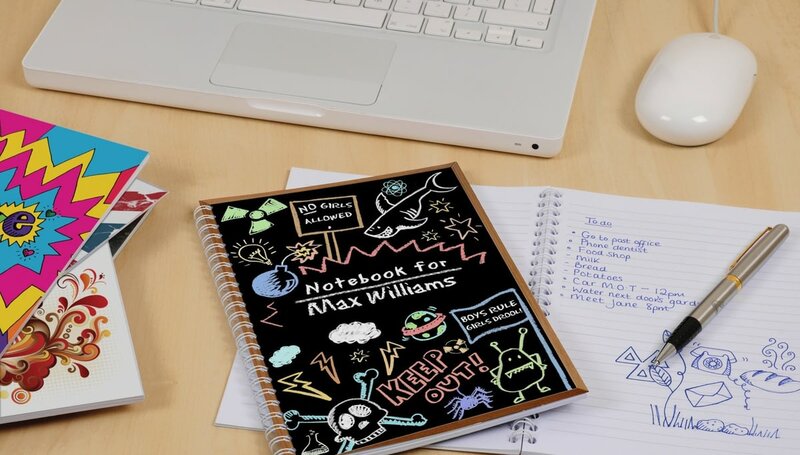 Personalised with any name and an optional message this pad can be used to take notes in class or just doodle at break time. No more excuses about lost notebooks, with his name on the front this book won't go far! 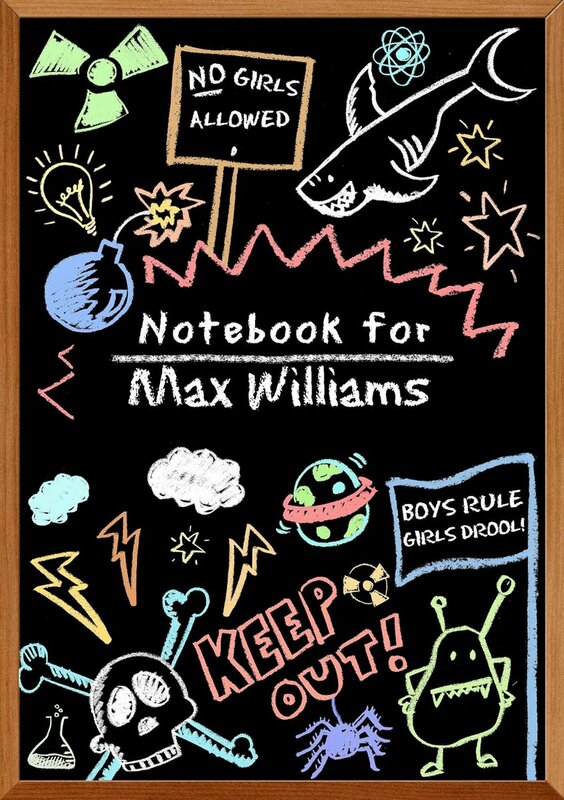 Featuring a funky blackboard design, this spiral bound notebook would make the perfect addition to any schoolgirl's backpack. The perfect personalised gift for any golf fanatic. This notebook incorporates any name in the sand of the bunker in our classic golf scene. The perfect personalised gift for any science fiction lover. This notebook incorporates any name on the 'reserved' sign for the next artificial intelligence robot.